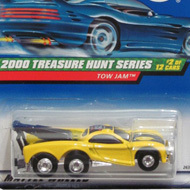 3/12 from the 2000 Treasure Hunt series. 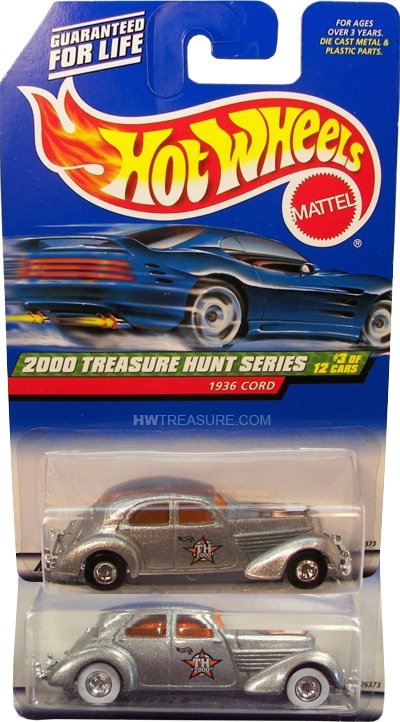 The ’36 Cord features silver metalflake paint with black, orange, and white flames on the hood as well as “TH 2000” and a small Hot Wheels logo on the doors. It has orange windows and a chrome Malaysia base. 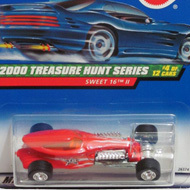 There are two variations both with Deep Dish Real Rider wheels. One version has black tires and the other has white wall tires.